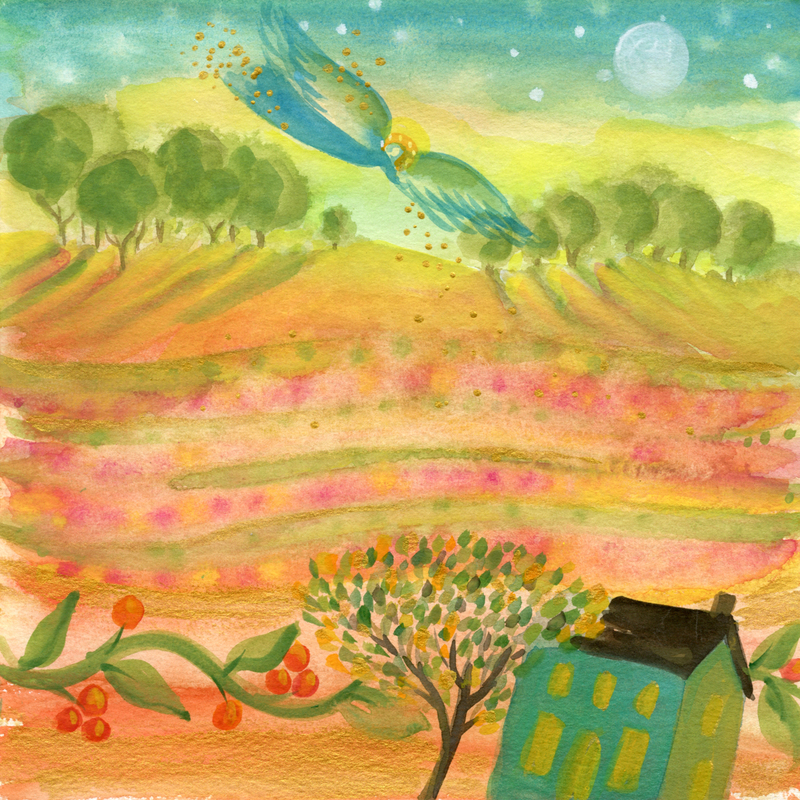 An Angel swoops in to send Blessings to a little farm down below. The moon and stars are out in the friendly sky. It is a peaceful night.